I’ve been kinda loving this band for some time, and finding a few cheap copies of their discography has solidified it over the past few weeks. 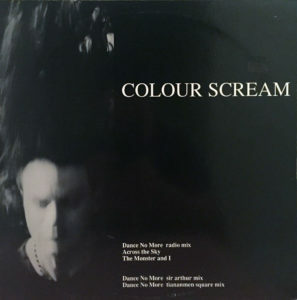 Colour Scream were a US based new wave band from southern California that flirted with a variety of styles across one mini-LP and remix 12”, released in 1988 and 1989 respectively via Whet Reign Records. I’d recommend starting with the Dance No More 12”, which features several similar remixes of the title cut, a synthpop SMASH that hits hard where it counts. Equally nasty as it is catchy, it’s definitely ripe for the dance floor. 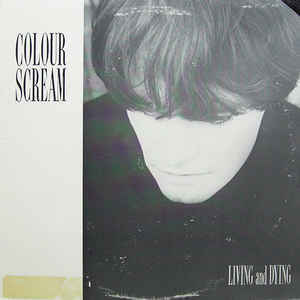 There are two additional tracks on this 12” (one that’s exclusive) that are more indicative of their overall style, a hybrid of Flock of Seagulls-esque wave with college rock leanings. Closest comparison I can come up with is the underrated Vigil LP from 1987. If you dig the additional tracks from the 12”, there’s more to be found on the mini-LP. But even still, no track is the same, and while some are pure wave goodness, the acoustic dirge “So Long” is a standout for me, almost like a precursor to Radiohead’s “Exit Music (For a Film)” as far as mood is concerned. The version of “Dance No More” from the mini-LP is very different, more dramatic and a bit darker than the remix version, almost beatbox-esque. Kinda took me surprise after playing the hell out of the remix!